I thought I'd do a quick roundup and talk a little bit about some of the games I got given, or bought with the money I was given over Christmas in a 'Christmassy' edition of this not-very-regular column of mine, Recent Purchases. Definitely looking forward to playing this quite extensive edition of the game, with 5 of the DLC packs. Castlevania: Judgment (Wii) My bro knows I love Castlevania games, so got this for me. So far I've just tried a couple battles in a few of the modes. I'm liking what I've played so far, apart from the graphics looking a bit odd and fuzzy, and some bizarre character designs by Takeshi Obata of Death Note fame. But the uniqueness and extravagance of these characters kinda interests me. They are like different takes on the original characters. There are some cool features in this game, like the wifi multiplayer options (I have no idea what it is involved) and the DS connectivity with Castlevania: Order of Ecclesia, which I just ordered the other day. I loved this game when I played it on the Gamecube what seems like ages ago...I think it was the first Gamecube game we got. I think its pretty short, so I'll take a look at this soon when I get a chance. Along with Okami, think my bro might be playing one of them at the moment, so I'll finish off a couple of the games I'm playing first. Still not started this, but it got some really good criticism on RPGamer and a lot of other sites and it is pretty hard to find where I stay, so when I saw it in the shops, I picked it up just after Christmas along with.. 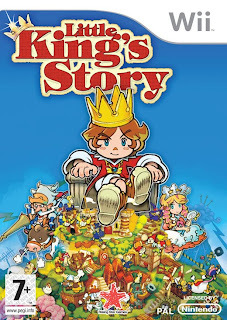 This game is really cool, its very like Odin Sphere, which kinda makes sense seeing as how it is also by Vanillaware. 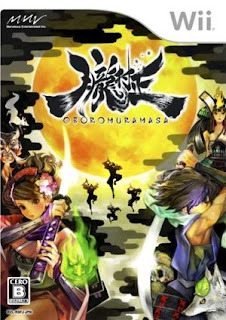 Its a very short game, I beat it in around 15 or 16 hours for both stories in the game, Kisuke's and Momohime's. 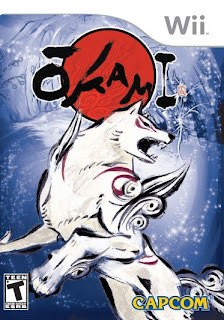 Its really well drawn graphically, I love 2D stuff when it is done well. There is a fair amount of backtracking and because the enemies aren't very common, a lot of the time you will be running through empty areas, albeit very impressive ones graphically. It has a similar system to Odin Sphere, with the forging of swords. You get Spirit for eating food, and with the souls you get from beating enemies, or collecting in the areas (like Rings in Sonic or something), you can Forge more powerful swords. There are 108, and I only got around 70 or so, so I think there is quite a bit of replayability, and a few different endings depending on what swords you have equipped at the end. Its a really cool game, but if there was a bit more variability and maybe a bit longer it would have impressed me even more. I mean its good, but I think I preferred Odin Sphere slightly. And now, I've just bought Legacy of Kain: Soul Reaver and the sequel on the PS2, because I saw someone on Backloggery playing them, decided to watch a couple Let's Play videos and then got that wave of Nostalgia, so picked them both up on ebay for less than £6.50 inc shipping! Soul Reaver only cost me £1.15! :D They should be on their way in the post soon, and I'll definitely look forward to playing them again. I also finally decided to pick up Castlevania: Order of Ecclesia, as it is the last metroidvania game I need to play post Symphony of the Night. Some people have given it amazing reviews, even saying it is the best Castlevania! Wow, I'll have to wait and see. I'm running out of stuff to say, so I'll leave it at that for now. I'll be talking a bit more about the games I've been playing(and beating! :D) over Christmas next.